Alice Springs offers a wealth of great attractions and the Desert Park is one of the best things to do in Alice Springs. Run by the Northern Territory government this park brings the desert alive. We were blown away by the quality of the guides, knowledge we learned and intimate up-close experiences with desert wildlife. Not to mention the great views of the MacDonnell Ranges throughout the Park. The park is divided into three distinct desert habitats: woodlands, sand country and desert rivers. For anyone that thinks Central Australia and the desert are lifeless, a visit to the Desert Park will shatter that myth. The range and diversity of animals that call Central Australia home is incredible and the adaptations they have made to suit life in this harsh region is fascinating. The Desert Park features 54 hectares with 3 km of walking trails. I love when the kids are learning and they don’t even know it! 2 How Long to Visit? 13.0.1 Enjoyed Reading this Post? SIGN UP for more. Alice Springs can be extremely hot and most of the Alice Springs Desert Park is outside. The Park opens at 7:30am and the earlier you get there, the better. While there are wildlife presentations throughout the day, you want to make sure you plan to see the Free Flying Bird Show, run at 10 am and 3:30 pm daily. The Park is open 7:30am-6pm with last entry at 4:30 pm. Since the Park is mostly outdoors, come prepared with a hat, sunscreen, and water bottle as there are cold water filling stations throughout the park. You might also appreciate having a fly net. There is a café near the entrance that serves quick lunches, snacks, cold drinks and icy poles. You can also bring your own lunch and use the picnic areas and BBQs near the car park. Some of the desert animals are nocturnal and spend the heat of the day sleeping. These can be seen at the Nocturnal House (below) or the evening Nocturnal Tour. This tour is at an additional cost but is a wonderful way to see these animals active as you walk through the free range area of the park by torchlight (see more about the Nocturnal Tour below). Also, if you are short on time, you can do the Nocturnal Tour by itself – 7:30pm. Allocate at least 3 hours to experience the Alice Springs Desert Park thoroughly. We spent 4 hours there and were able to walk all of the paths and see the entire Park in that time. We arrived at 9 am and went right to our first wildlife presentation, the dingoes. In this 15-minute talk, we learned so much about the dingo’s history in Australia, its controversial reputation and how it survives in the desert. The kids were really interested and listened super attentively as they became dingo experts. We also listened to the emu presentation where we once again became experts on this species. I had no idea that it was the males that raise the young emu birds. It was also interesting to hear how the emus were hunted and revered by the Aboriginal people. In the afternoon there is a kangaroo presentation, but you can walk through the kangaroo enclosure any time. We had heard amazing things about this show and it completely lived up to the expectations. We have attended many bird shows throughout our time in Australia, but what made this one so unique was the free flying birds throughout the show. The birds darted inches over our heads in the audience as we learned about common birds like the magpies and the larger birds like the Wedge-tailed Eagle. Once again the focus was on education and learning about the threats these birds face. You do need to be seated by the time the show starts and there is no late entry allowed (due to the free flight nature of the show). Check out the video below to see why we thought this was such a cool show. This wasn’t one that I planned to attend since we had already had a few Aboriginal experiences in the Red Centre, but my son was keen to go. I am so glad we did! Doug, an Aboriginal guide shared so much incredible information about how his ancestors survived in the desert for thousands of years. He showed us the tools that were used, the bush tucker foods and talked about cultural practices. We were already familiar with many of these things, but what we enjoyed the most were Doug’s personal stories. He shared with us stories about his uncle’s ability to quietly stalk and hunt kangaroos and teaching his children how to find witchetty grubs. Most impact-fully, he talked about how the Telegraph Station coming to Alice Springs forever changed life for Aboriginal people in Central Australia. Their way of life which had been successful for thousands of years was turned upside down. He drew two lines in the sand. One represented traditional Aboriginal way of life and one represented white man’s way of life. His message was that Aboriginal people cannot go back to that traditional way of life. They have to move forward taking parts of their ancestor’s ways and parts of western ways and find their own way forward, creating a new line in between. This talk is a 40 minute presentation in a seated and shaded hut. Doug completely held our primary school aged kids’ attention and was great at answering their questions. This is another one of the stand-out attractions at the Alice Springs Desert Park. Since it is located indoors, it makes a welcome respite from the heat. This is your chance to observe the dark and elusive world of many endangered animals in the Red Centre. We saw malas, bilbys, bettongs, parenti and many small reptiles and snakes. The Nocturnal House simulates night time so you can see these rare animals active and moving around in the dark building. If you do the evening Nocturnal tour, you will get to see these species in their natural environment in the free range area under star light. One of our absolute favorite animals in the Nocturnal House was the thorny devil lizard. The thorny devil – such a cool animal! I wouldn’t classify myself as a bird person generally, but the aviaries at the Alice Springs Desert Park were amazing places to visit. Even the kids were so interested in spotting the different birds and then trying to match them up to the information signs. What is most amazing about Outback birds is their incredible variety. You have colourful parrots, mohawk-wearing pigeons, and the sweetest singing birds I have ever heard. Plus the aviaries are specific for each habitat in the park, showcasing the birds in each region. The Changing Heart movie is located near the entrance in a custom-designed amphitheatre. The movie tells the 4,500 million year journey through the creation of Australia’s deserts. Located almost every hour, on the hour, this is something you won’t want to miss. It is another great opportunity to enjoy the cool air-conditioning and get a break from the heat. Plus the end you get to see the spectacular backdrop of the MacDonnell ranges. We have long been fascinated by the wedge-tailed eagle and in the Eagle Encounter, you can get up close to this majestic bird. Additional charges apply and you need to book on arrival. The Alice Springs Desert Park Nocturnal Tour is a guided evening tour through the free range desert habitat to spot seven types of endangered desert mammals. This tour is ticketed separately, but you can buy a combination day & night pass that represents great value. The Nocturnal Tours are run nightly Monday to Friday at 7:30 pm. 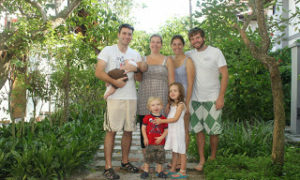 This small group tour was a huge hit with the kids and adults in our family. Shortly after arriving, we donned a red-lighted head torch and set off into the free-range Mulga walk area with a guide. While the zookeepers do leave out some food to entice the animals to come near the paths, this is a completely spontaneous tour. The kids were hugely excited when they spotted the different species: endangered and rare malas, bilbys, bandicoots and more. It was like playing detective and using all your senses to listen and locate the animals. While we were watching these animals in the light of our head torches, the guide was explaining all about the different species and the threats they are facing. Echidnas are one of my favourite Aussie animals and we saw a few of them on our night walk as well. 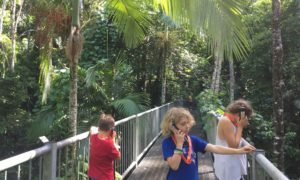 The guide also explained some of the constellations we see in the southern sky and shared some Aboriginal stories about the stars. After about an hour of spotting and watching the animals, we headed back to the entrance for some refreshments and cake. The kids also had a chance to ask the guides questions about what they had seen and we were given some information packages as well. The Nocturnal Tour was a great way to see these rare animals in their native habitat and learn more about the conservation work the Alice Springs Desert Park is doing to reintroduce them into the wild. Since it is a late activity and involves walking in the dark, I would suggest kids be 4+ to really appreciate the experience. Day entry costs $32/adult, $16/child (5-15) and family (2 adults/4 children) $87. A combined day and night pass is great value at $66/adult, $38/child and $175/family. Tickets can be purchased at the front entrance. The Alice Springs Desert Park is about 10 minutes outside of town and the best way to get there is self-drive. You can also take a taxi or the Alice Wanderer. Parking is free. If you have bikes, you can cycle on a sealed path out to the Desert Park. 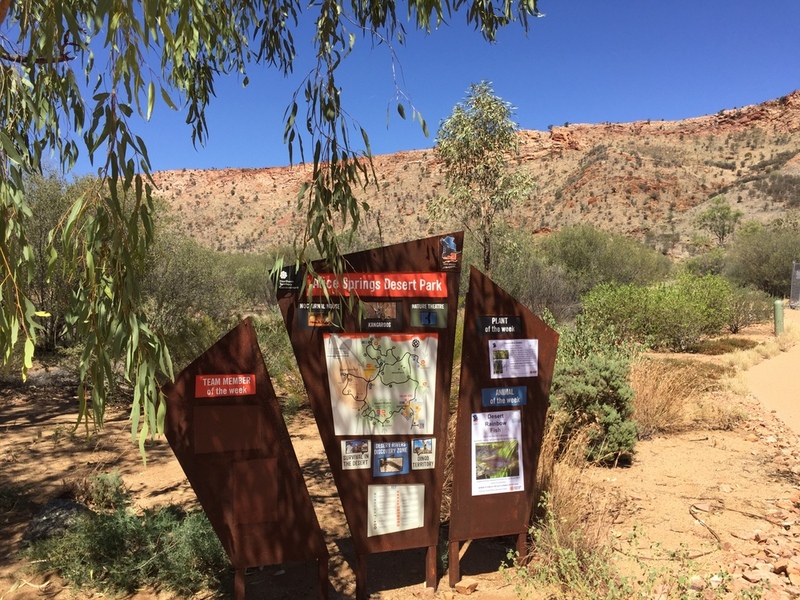 I hope you found our Alice Springs Desert Park review helpful in planning your visit. 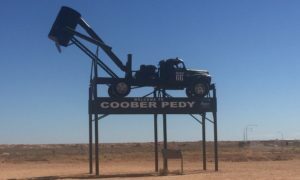 It is definitely a must-see attraction for every one visiting the Red Centre, but especially families. We came away with a much better appreciation for the wildlife that lives in Central Australia and how we can help protect them. Check out this post for other fun things to do in Alice Springs. Let us know in the comments below if you have any questions we can help you with. We were hosted on our visit by NT Tourism. But as always all opinion are our own. You are giving your kids such a gift…as your parents did with you. Just wanted to let you know, you have a very big fan here in St.Thomas! This sounds amazing! 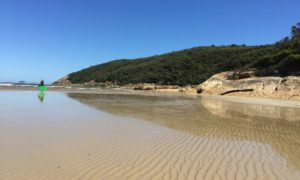 Australia is top of my bucket list and I’ve been compiling a list of things to do and places to visit foe when we do get chance to go – this is going on my list! I love the idea of seeing the nocturnal animals, especially since temperatures would be lower at night. So many amazing places to visit in Australia. Just make sure you give yourself plenty of time when you visit. We loved seeing the Outback (so different then the more populated coasts) and the Desert Park was a great way to experience the desert. Happy travels! What a detailed and interesting review of a place I hadn’t heard of until now! I like the detail that “You do need to be seated by the time the show starts and there is no late entry allowed (due to the free flight nature of the show).” I can just imagine someone waltzing in late and getting bonked by a flying bird! Thanks Lillie. The bird show was definitely one of the highlights so you definitely wouldn’t want to miss it on a visit. Looks like there’s plenty to occupy families. I’d never heard of a thorny devil. Very cool. It was a great day out with the kids! And the thorny devil was mesmerizing to watch..he walked in this really strange way. This is a useful guide with all the information to make best of the available time at the park. We still have to visit Australia, it is a big country and we need at least 4 weeks for our first visit. Hope to include Alice Springs Desert Park. Thanks for the great info. Thanks so much. Yes, you definitely need to give yourselves a bog chunk of time for visiting Australia. Definitely plan a few days in the Red Centre – so different from the rest of Oz. Great review – lots of really helpful details. I’d love to go to the talks myself, especially the one about traditional ways of life and the nocturnal tour would be interesting too. It sounds like a great way to learn about the habitat.